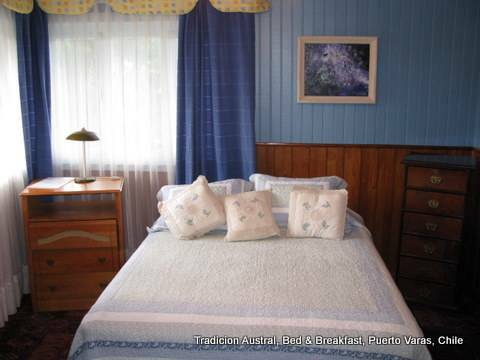 Located in a quiet residential area near the center of town, "Southern Tradition" is one of the best maintained traditional homes of Puerto Varas, featuring beautiful local hardwoods throughout. 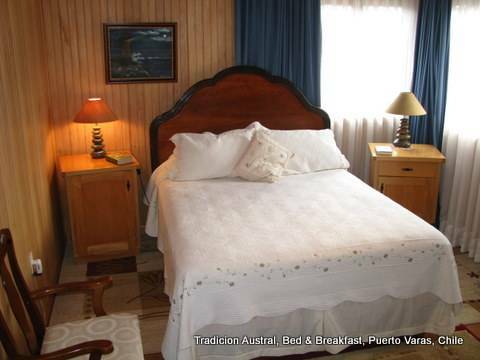 Experience Puerto Varas as an insider by staying with a hospitable family in their spacious historic home built in the architectural style of the German immigrants of the 1850’s. Rest completely, safe and comfortable, far from traffic and disturbing noise. TA furnishes top quality mattresses and linens, and warm down comforters in spotless rooms. Breakfast starts with fresh brewed coffee, free-range eggs as you like them, fresh seasonal fruits, homemade jams, local honey, fresh breads, cheese, etc. …as if breakfast were an important meal. There is private off street parking and free pickup within town for those arriving by bus. 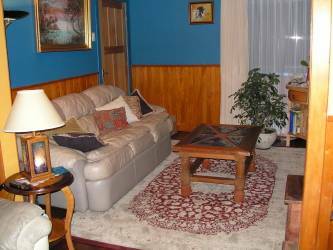 Car rental can be arranged at the best possible rates with delivery and return at the BnB. 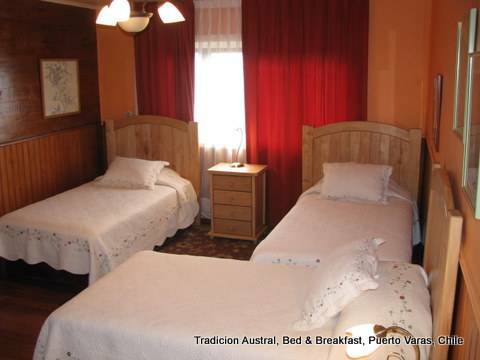 Your hosts are committed to insuring that you have the best possible experience in Chile and are eager to help you resolve any type of issue that may arise e. g. lost luggage, getting the best exchange rate, making reservations in Punta Arenas, etc. Recommendations are freely given on eating out and shopping among the handicraft vendors and artists’ shops in town, as well as what is worth seeing and doing in the area. Only a few minutes walk to tour operator offices in town, TA is the perfect base for outdoors excursions of all types; rafting, fishing, biking, trekking, kayaking, bird watching, horseback riding, canopy, canyoning, and so on. A specialty of the house is guided fishing trips on local rivers. This classic home features rich hardwood floors and paneling, as well as locally crafted furniture, such that all local woods are represented. Gardens cover the ample property around the house. There is virtually no traffic in the area at night. Top quality mattresses and linens, feather pillows, down comforters. The neighborhood is residential and quiet although it's only a few blocks from the center of town. 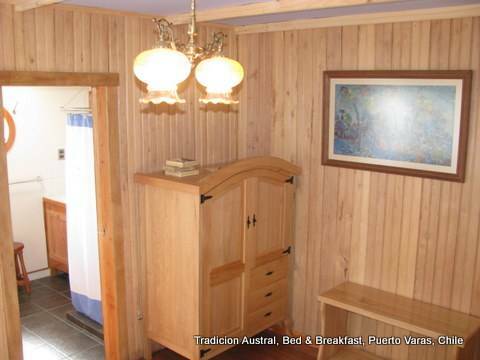 One of the most traditional residential areas of Puerto Varas, the homes are predominantly single family dwellings constructed with local hardwoods and sheathed in "alerce" shingles. 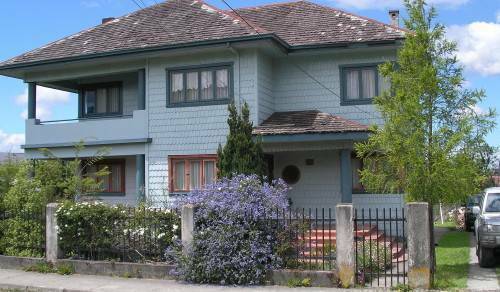 This German colonial architectural heritage in construction gives PV its special character. The surrounding area is one of incredible beauty, punctuated with snowcapped volcanoes in the Andes, transparent rivers teaming with trout, and rolling hills dotted with dairy cows. There is every kind of outdoor sport imaginable. Go one block north of the plaza to Walker Martinez street. Heading away from the lake, go 5 blocks to Terraplen at the end of W. Martinez. Turn right and go 1/2 block to number 765.